Customer Picture Number 159 Selected. Cool Car decals applied. 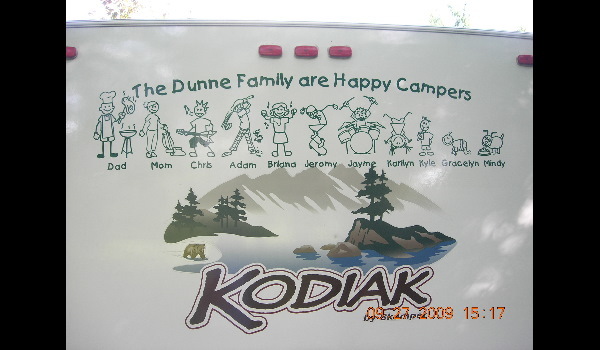 Kim, The extra large faily decal for your RV looks great.